Helen Lemmel was responsible for over 500 hymns during her lifetime (1864 - 1961). She wrote the hymn "O Soul Are You Weary And Troubled" (the correct title of this number) in 1918, after having read a gospel tract written by Lilian Trotter and based on the biblical passage Mat 4:1-12. It was first published in 1922. 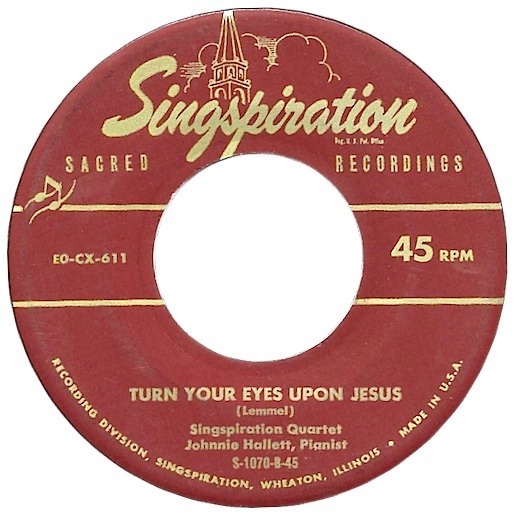 The original version by the Singspiration Quartet features Johnnie Hallett on piano and was released on Singspiration S-1070-8-45. Elvis's version was made at an informal studio session during the filming of "Elvis On Tour," sung together with "Nearer My God To Thee." It was not included in the film, and was not released until 1994.